Hello friends! This is Doug Batchelor. Superman could supposedly travel faster than a speeding bullet, but now there's a missile that can catch him. The U.S. Army has now successfully tested a prototype of a hypersonic weapon that can travel at least mach 5. That's five times the speed of sound, and much faster than a bullet. But that's still slower than a snail compared to how fast the angels can fly. Stay with us friends. We're going to learn more as Amazing Facts brings you this edition of Bible Answers Live. Pastor Batchelor: Welcome listening friends to Bible Answers Live. If you have a Bible question, pick up your phone right now and give us a call. That number to reach the studio with your question is 1-800-GOD SAYS. We have lines open, a good chance getting your question on tonight's broadcast. That's 1-800-463-7297. In my opinion, this is the best possible use of talk radio talking about the Word of God. If you have questions about Christianity, living a spiritual life, what the Bible teaches or some portion of Scripture, we don't have all the answers, but we have a lot of resources at our fingertips. We try our best to answer people's Bible questions. One more time, the toll-free number is 1-800-463-7297. My name is Doug Batchelor, and Pastor Jëan Ross is on vacation this weekend. And we know a lot of our friends are out on the road traveling, returning home or back to work; and we're just glad you're tuning in. If this is your first time calling in, we're glad that you've joined us for Bible Answers Live. We always start the program with a word of prayer, and so we'll do that right now. Loving Lord, we're very thankful for this opportunity and this medium, to be able to share the Word of God with people who are searching for answers. We dedicate this program, Lord, to Your glory. We pray the Holy Spirit will take part in possession of our minds, our words, and that all things said and done will glorify You. And so please bless. We ask in Jesus' name, amen. Well friends, I started the program talking about a new U.S. Army weapon. It's a hypersonic weapon that can send a missile going mach 5. That's going to be about 3,800 miles an hour. Now a bullet, if you fire a .45 caliber bullet, it'll travel actually about--they're actually slow--they're about 870 feet per second, or about 661 miles an hour. They've got another caliber, a . 243 round that's smaller but faster. It can go as fast as 3,000 miles an hour. But this missile goes faster than Superman. But did you know that the Bible tells us that angels travel even faster than mach 5? You find in Daniel chapter 9, verses 22 and 23, it says that Daniel was praying, and the angel, Gabriel, appears to him and says, "O Daniel, I have now come forth to give you skill and understanding. At the beginning of your supplications or your prayer, the command went out, and I have come to tell you." In other words, God the Father told Gabriel to bring the answer to his prayer to him. When Daniel started praying, Gabriel was sent. By the end of Daniel's prayer, Gabriel has traveled across space. Angels travel not only faster than the speed of sound, they go faster than the speed of light, 186,000 miles per second approximately. They must go nearly at the speed of thought, but he was covering the cosmos in just a matter of seconds. You know the Bible tells us in Revelation just before Jesus comes, and you find this in Revelation chapter 14, three angels are pictured flying in heaven with special messages to prepare the world just before the coming of the Lord. This is again, Revelation chapter 14. It's often referred to as the three angels' messages. And if you'd like to know more about those angels and that message that they're in a hurry to deliver, then we have a free offer for you tonight. It's called, "Angel Messages from Space". "Angel Messages from Space". If you'd like to get that resource, we have another phone number to call. We have operators that will take your information and we'll send it to you free with no obligation. That number is 1-800-835-6747, that's for the lesson. It's a beautifully illustrated lesson with pictures, amazing facts, and lots of Scripture, "Angel Messages from Space". One more time, 1-800-835-6747. And, I want to remind our friends that may be listening via the computer or near a computer, we've been streaming the program lately. If you'd like to tune in for whatever visual edification it might provide, we are streaming. It's simply, live.amazingfacts.org, live.amazingfacts.org. We're kind of counting up how many people log on for the visual streaming. Well with all that rambling introduction, I'm going to go to our first caller. And Mike is calling from British Columbia with a question. Mike, welcome to Bible Answers Live. Pastor Batchelor: Well you're experience could be troubling, I understand that; but whatever you decide, Mike, now I frankly think--and this is my personal opinion--I frankly think the Baptist theology is closer to Scripture than the Catholic theology. That's because I'm a Protestant also as the Baptists are. But, and obviously, there are going to be Catholic people in heaven and Baptist people in heaven, but you want to get as close to the Bible as you can be. You don't want to make your decision based on a disturbing experience, or someone treated you unkindly. You want to make it based on what is the truth. We have a series of Bible studies I will send you for free. Free enrollment. There's no cost for the entire series. If you'd like to sign up for that Mike, would you be interested in--just make you decisions about a church based on that. answering questions straight from the Bible you know? Answers straight from the Bible (inaudible). Pastor Batchelor: Yeah well that's what we want, we want to find out what does the Bible say. And, tell you what Mike, here is the phone number. You call and tell them that we've told you you can sign up for the Amazing Facts Bible Study Course and beautiful lessons. It's 1-800-835-6747 for the Bible Study Course, 1-800-835-6747. We've got your name down and we'll send you that free course. It will help you figure out where you're suppose to go to church, and it will give you Bible reasons for those. I appreciate your call. Next, we're going to be talking with David, who's calling from Richmond, California. David, welcome to Bible Answers Live. David: Hi Pastor Doug, how are you doing sir? Pastor Batchelor: Very well praise the Lord. And your question tonight? David: I was wondering where does the devil get his power from, and can he use all his powers up? Pastor Batchelor: Alright, well it may sound odd but, the devil was not made a devil by God. God made a very powerful angel. As a matter of fact, when you think of all the created, intelligent beings in the universe, the highest of the created beings was an angel named Lucifer. He was the leader, the general, of all of the angels that served God that are very powerful we learn from Scripture. Lucifer turned. He rebelled against God, became selfish, he had his own free will, and he chose to rebel and love himself. And so the inherent powers that he had when God made him as a good angel, God could have just destroyed him, but then the other angels and creatures would serve God out of fear. So God allowed Lucifer to continue; but I think his powers are diminishing. But he's still a powerful creature. Have you ever seen the Bible study Scriptures that line up the evidence about the devil, where he came from and where he's heading? Because we can send you a special study that deals with did God create a devil. It's got illustrations in it and it's a beautiful lesson. Would you like a free copy of that David? It explains where the devil gets his power, which is your question. 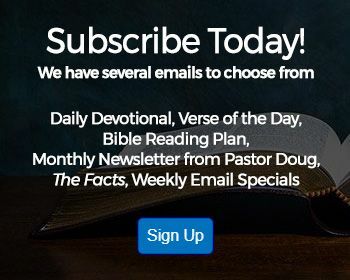 Pastor Batchelor: Yes, the reason we send the lessons out is because, to give people justice for some of their Bible questions, I would need 15 minutes with every caller. But then we'd only get four callers or three callers in a program; so we give as much as we can verbally and then we want to follow up with study resources. This program is a success if we get you to study your Bibles. Alright, thank you very much David and we'll send that to you. Just call 1-800-835-6747, ask for the study guide, "Did God Create the Devil?" for anyone out there that wants to understand why is there evil in the world and where did the devil come from. You know one more thing you might look at and you can watch it online, there's a DVD Amazing Facts produced that explains if God is good, and if God is love, and if God is all-powerful, then why is there evil, where did the devil come from. It's called, Cosmic Conflict. You can just type in Cosmic Conflict probably to YouTube, and I think someone has uploaded the whole thing there. You can watch it there. Cosmic Conflict, or go to the website, cosmicconflict.com. It explains where the devil came from. Jerry is calling from Denver, Colorado. Thank you for your call Jerry, and your question? Jerry: Yes sir, Pastor Batchelor, my question pertains to swords, and I'm looking at Luke chapter 22, verse 36. Jerry: "And whoever does not have a sword must sell his coat and buy one." And then verse 38, "The disciples said, 'Look, here are two swords Lord.'" And then in verse 49, "When the disciples who were with Jesus saw what was going to happen, they asked, 'Shall we use our swords Lord?'" Then, of course, you know what happened there. Jerry: So my question is two-fold, two questions. Number one: Since Jesus had the power to defend Himself and the disciples if He wanted to, why were there swords amongst the disciples? That's one question. Number two: Is there anything improper with a Christian owning a firearm? Pastor Batchelor: Very good question. Alright, first let's address what's happening here in Luke in this conversation about swords. Jesus was not endorsing that the disciples arm themselves and try to take the Romans on by force. Of course, everything else He says afterward, He told Peter, "Put up your sword. Those who live by the sword will die by the sword." Jesus used some analogies and the disciples often misunderstood. He used the analogy of leaven; and He said, "Beware of the leaven of the Pharisees." And the disciples said, "Oh we forgot to bring bread." And Jesus said, "How can you be so foolish and say that because I just fed the multitude." He said, "I'm not telling you literal bread. I mean beware of the sin, or the deception, of the Pharisees." When Jesus said let him sell his garment and buy a sword, the sword in biblical analogy is the word of God. The Bible says the word of God is sharper than any two-edged sword. And that's in Hebrews 4 and Ephesians 6; it says the sword of the Spirit which is the word of God. In Revelation, Jesus is pictured with a sword coming out of His mouth. So when they said, "Lord we've got two swords" and He said, "It is enough", the way that actually translates when He said, "It is enough", He says, "Enough of this". In other words, He rolled His eyes and said, "Enough of this. You're not getting it." He didn't want them to arm themselves to try to take on the mob when Judas betrayed Him. And so, He wasn't suggesting that two swords are going to be enough to take on the Roman army; but the double-nature of the sword does have a spiritual meaning. The word of God is always compared to a sword with two edges, meaning the Law and the Prophets, the commandments of God and the testimony of Jesus, Moses and Elijah. They were all symbols of the word of God. There's a dual nature: the New Testament, the Old Testament. So some have drawn a spiritual analogy there, when they said, "We have two swords." He was really speaking about, "Your weapon is going to be the word of God." He said, "I came not to send peace, but a sword", meaning the word of God as a sword. Then you asked a question about should a believer own a gun. Well I don't think we ought to plan on buying guns to take human life. A gun might be a practical tool. We have a cabin up in the hills and we have a gun just because we actually have to chase off bears from time to time. And so for a Christian to have a gun for those purposes, or if you're going to scare off an intruder, it might be a useful tool. People need to realize it's also a very powerful tool and it could be, in the wrong hands, dangerous. So, I would just say any believer needs to take that in hand, whether you're David with a sling, or that you're King Saul with a spear. A gun is just a projectile--it's just a very powerful one--and it could be dangerous, and we just need to remember that. Hey I appreciate your question Jerry. I wish I could offer you a study guide. Don't really have one on that in particular, but thank you for calling in. And that does free up another line. If you've got a Bible question, call the studio. It's 1-800-GOD SAYS. That's 463-7297. I think here we're going to talk next with Janet, who's calling from Calhoun. I guess that's Calhoun, Georgia. Janet, you're on the air with Bible Answers Live. Janet: Yes. We're just driving down the road heading back from Thanksgiving break, and we're talking to my 11 year-old daughter. She was wanting to know about the Jews. If they don't believe in the Messiah coming yet, then why did they not still practice the sacrificial system? Pastor Batchelor: Good questions. If they don't think that Jesus was the Lamb of God, why did they cease the sacrificial system? You know, this is one of the most amazing prophecies. In Daniel 9--we already referenced Daniel 9 tonight briefly--one of the things it says the Messiah would do, it says [in verse 27], "He would make the sacrifice and the oblation to cease." When Jesus died on the cross, the veil in the temple was ripped from top to bottom showing that all that the temple system pointed to with their sacrifices was fulfilled, because at that very moment, the Lamb of God was dying outside Jerusalem on a cross. And once the temple was destroyed in 70 A.D., the Jews pretty much abandoned the sacrificial system because the priesthood was sort of scattered everywhere and they did not have a place to bring their sacrifices. Some orthodox Jews have thought it would be nice to rebuild the temple. I don't believe that's going to happen. I know many believe it will, but I don't find the prophecy teaching that. I think that Jesus made the sacrifice cease because He is the Lamb of God, and He's still waiting for many of His Jewish children to recognize that. Many have, but, that's a quick answer Janet. We do have a study guide that talks about the sacrificial system. If you'd like us to send you that--it's really dealing with the Day of Atonement--and it's called, "God Sets a Date for the Judgment". And I think your daughter would enjoy it. It has lots of pictures and Scripture and anyone can understand it. Would you like a free copy of that? Janet: Yes I would. Thank you. Pastor Batchelor: Alright, just call this resource number and ask for our study guide dealing with "God Sets a Date for the Judgment". And that number is 1-800-835-6747, we'll be happy to send that out to you. Mark: Hi Doug, thanks for your Q & A. I'm really enjoying it and happy Thanksgiving. Pastor Batchelor: Thank you, and happy Thanksgiving to you too. Mark: The question is that, you know, these UFO sightings; and uh, there's much talk about anti-gravity devices out there and movies made about it. What's your take on it from the Bible's point of view? You know, you go to Scripture and try and locate things. What are these? Fallen demons? What are they? Pastor Batchelor: Well I'm glad you said that. Our lesson tonight actually talks about angels a little bit. There are not only good angels, there are also fallen angels, sometimes known as demons or evil spirits or devils. Satan, when he was cast out of heaven, one-third [of the angelic host] were cast out with him. The devil is an angel of light. He can create deceptions. He can create illusions. And even the Bible says the beast-power is going to go as far as bringing fire down from heaven. Some have wondered if that's something to do with an UFO or something; but I'll try and give you a balanced answer on this. I'm coming to you as a pilot. I grew up with my father in the aviation industry; and pilots, including myself, see all kinds of very interesting things up in the sky. Most of the time, we get a little closer and we find out that it was an optical illusion. The clouds in the atmosphere can do some very amazing things. Sometimes there are things that can't be explained, and I don't doubt that even Satan and his angels can create sightings. Angels of God have appeared as stars in the sky before. So I'm not shaken by any of this. I just do not believe that the unfallen planets are sending ambassadors, that these aliens are coming to capture humans, that kind of stuff I don't believe. Pastor Batchelor: They look like aircraft--yeah they look like either flying saucers or some kind of genuine aircraft. Mark: Right, right, right, and they have different triangular shapes and so forth, I mean, either made by the U.S. or Russians, and it goes back to World War II (inaudible) and the whole bit you know, and Hitler's time and everything also. But the thing is that, they fly these weird angles and take off at the speed of light and everything. Also therefore, how could a human being exist in that environment? Pastor Batchelor: Well now, I do believe that when we get our glorified bodies, that people will be able to travel through space, maybe even like angels do. You know just one more thing, this is just trivia, but my uncle worked for many years at what they call Area 51; and it really did exist. He worked on the SR-71 Blackbird and they used to fly them every week from Burbank, California to work and then they'd fly them back. They'd work in Nevada, they'd fly back; and they worked on all kinds of very interesting spacecraft. And as I started off the program talking about this new hypersonic weapon that the military has developed and it's--you can see it online--they've got pictures of it; it was reported by Fox and ABC. So who knows what kind of things they were testing back then that people have pictures of and wondered. An unidentified flying object, or UFO, could be one of many things. So, I do believe we're going to soar to worlds unknown when the Lord comes. But until then, I'd be happy to send you a copy of our "Angel Messages from Space". Just call that resource number Mark, 1-800-835-6747, and we'll send that to you. Thank you for your call. We're going to try and take a couple more here. Let me see who's next. Alright, we're going to talk to John calling from New York City. Welcome John, you're on Bible Answers Live. John: Yes, good evening Pastor. John: I want to thank you for your many spiritual insights into Scripture, but I'm not calling you to have a run-in, dispute with you. I have some literature from you which regards Roman Catholicism, in which you seem to say that there are some Roman Catholics who are Christians and so forth, and some folks believe we're Christians. But having been born and raised in a Roman Catholic country and I attended Roman Catholic schools, I have yet to meet a Roman Catholic who's truly Roman Catholic, who's really a biblical Christian. I've yet to meet one. Pastor Batchelor: Well so--do you have a Bible question? John: The question is, is Roman Catholicism Christianity? Pastor Batchelor: I think that this is one of those questions that you have to define. Some questions you can't answer yes or no and be honest with a yes or no. So what I would say is, there are obviously people who are doing their best to follow Christ that are in the Roman Catholic church. When you evaluate the foundational teachings of Roman Catholicism, there are many premier teachings that have departed from Scripture or the teachings of Christ. So I believe there's a terrible conflict with the organized Roman Catholic church and the teachings of Christ; but obviously there are people who are still in the fellowship of the Catholic church. They read the Scriptures and they are doing the best to their ability of following Christ. Now, you've got examples in the Bible of people who were not Jews, but God referred to them as His children. Well the Jewish people and the ones with the Scriptures, they were the chosen people. But He had people like Naaman the Leper who God healed; and He had Ruth the Moabitess; and there was a widow that Elijah stayed with; so there were many people that were not Jews that God recognized as His children. That may sound like a roundabout answer to your question but, do I believe that the Catholic religion follows--are you still with me? John: Yes I'm still with you. I'm saying I was raised a Roman Catholic. I went to Catholic schooling. I went to masses. Pastor Batchelor: I went to Catholic school too. I went to two different Catholic schools. John: Yes but I cannot see the connect in the--take for instance, very, very specific, the doctrine of immaculate conception. Many people do not know what the immaculate conception is. Even many Roman Catholics do not know. Pastor Batchelor: Yeah it has to do with Mary. John: Yes, but many people think the immaculate conception has to do with Jesus, but the (inaudible) in error and persist in it to this day. I mean, you know, I have Catholic literature, lots of it, and I compare it with Scripture and they do not match at all. I mean, it's, there's no--I really do not understand how you could be Roman--the position in Roman Catholic teachings and still be a biblical Christian. That's my question. 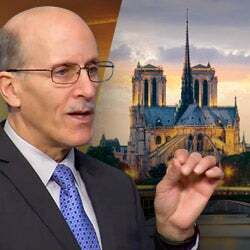 Pastor Batchelor: Alright, well I would agree with you on that; that if a person is embracing all of the foundational teachings of the Catholic church, they're going to be very conflicted with some of the teachings of Jesus. You have the teaching of Purgatory, which for years, taught that there was this purging area between when a person died and they were allowed to go to heaven. I think just in the last 10 years, the Catholic church abolished the teaching of Purgatory. They basically deleted it. And there were other teachings through history that they recognized could not be supported biblically. That's why there's a big split and the Protestants broke away from the Catholic church during the time of the Reformation because they said the church in Rome, largely, was influenced by the pagans in Rome. And it sort of became an amalgamation of Christianity trying to also accommodate a number of pagan teachings, and that's why they were protesting. They said, "We've got to get back to the Bible." I should add just in fairness, while I'm a Protestant, I would say that I think many Protestants have also drifted from biblical Christianity. And I think before Jesus comes back, He is going to effect a revival where there's going to be a great return to biblical Christianity among His people. I think He's going to pour out the Holy Spirit, you're going to hear people preaching the simplicity of the truth that the Apostles were preaching. And I pray for that day. I pray for it in my life. I hope, listener, you are praying for the day. I think there is so much done in the name of Christianity today that really has nothing to do with the teachings of Jesus; and in the simple truth that Jesus wants to save us from our sins, both the past record of sin and He wants to save us from the power of sin in our life today. That means the power of evil thinking, the power of bad behavior, the power to save us from breaking His law and His commandments, dishonesty, impure thoughts, He wants to save us from all of that. Listening friends, you're tuned in to Bible Answers Live. We're just going to have a break for a moment. AmazingFacts.org is our website. Be right back. Pastor Batchelor: Welcome to Bible Answers Live. If you've joined us along the way, that number again is 1-800-GOD SAYS or 1-800-463-7297 with your Bible-related calls. We'd like to also remind you that we have a website where you can study the Bible in about 10 different languages. If you go to bibleuniverse.com, bibleuniverse.com, you'll see that we've got lessons in, of course, English, Spanish, Chinese, German, Macedonian, Romanian, Farsi, French, Tagalog, and Swedish. That's not one lesson, this is each of those languages I just mentioned--we have a series of between 24 and 27 Bible lessons on the foundational teachings of Christianity. So if you know somebody that would like to study the Bible and they speak Chinese, German, Macedonian, Romanian, Farsi, French, Spanish, Tagalog--that's Filipino, or Swedish, you'd send them to bibleuniverse.com, and they'll be glad they did. It'll change their lives. Alright, who is next? I think we're going to be talking to James who's listening on line 8 from--I don't know where you're from. It doesn't say James, but you're on the air with Bible Answers Live. James? Pastor Batchelor: Hi, your question tonight? James: Yes, I have a question in Psalms 91, verse 2. James: It says, "I will say of the LORD, He is my refuge and my fortress: my God; in him will I trust." But there's a little letter "r" just before "I". It is right before "refuge", right before "fortress", and right before "trust." And I want to know what these little capital letters stand for? Pastor Batchelor: You're talking about when it says LORD? Pastor Batchelor: What version are you reading of the Bible? Are you reading the King James version, or, what version? James: Yes, King James version of the Bible. Pastor Batchelor: Yes, let me read verse 2. "I will say of the LORD, He is my refuge and my fortress:..."
James: Right before "I", before "I", before "I", the letter is just before "I". Pastor Batchelor: Alright well what you probably have is in your Bible you have a margin. And in the margin, it is giving you some additional information on that verse based on, probably, the original language. So every Bible that has different studies they have marginal notes that are not in, necessarily, the original. So I think you're looking at the little letter in your margins. We do have a study guide that talks about studying the Bible that you might enjoy James. It's called, "The Ultimate Resource". I'll be happy to send you a free copy of that. "The Ultimate Resource", it's a sermon book dealing with how to study and the wonderful resources in the Bible. And the number is 1-800-835-6747. That's 1-800-835-6747. We'll send you a free copy James. We're going to try and get in a few more calls--ah, let me see--Ron has been waiting patiently from Detroit. Ron, you still there? Pastor Batchelor: Hi, and your question tonight? Ron: Yes, I am. The question that I have is, before, I came back home. And when I got home--I went to visit Atlanta this summer--and I dreamed that I helped somebody out of this accident. And when I got to Atlanta visiting my friend, the exact dream that I had came true. I got out of my car and looked, there was a bad accident. I'm asking is there such a prophecy for a believer like me, or does that still happen? Pastor Batchelor: Okay. So the question is, is it possible that prophecy still happens, can the Lord speak to believers through dreams, give them premonitions? I'd say absolutely yes. There are a number of examples in the Bible where God forewarned people. A lot of people are preparing for Christmas now, and God forewarned Joseph. First of all He said, "You're thinking of divorcing Mary because she has come up pregnant and you guys haven't had a honeymoon yet. I'm telling you not to, that the child is of the Holy Spirit." And then, when Joseph was going to be staying in Bethlehem, it tells us that King Herod was going to try and kill him. Joseph was warned in a dream to flee, and he was saved by that. God still speaks to His people in dreams. You can read in Joel chapter 2 one of the signs of the last days, "I'll pour out my Spirit upon all flesh...your old men shall dream dreams, your young men shall see visions." So it is entirely possible Ron, that God has spoken to you through a dream. Tell you what, we're going to send you a lesson. All you have to do is follow up with one more phone call. It's a free call. We'll send you a lesson, "Does God Inspire Astrologers and Psychics?" It talks about prophecy in the Bible. And that number is 1-800-835-6747 for the resource. 1-800-835-6747, ask for, "Does God Inspire Astrologers and Psychics?" and you'll enjoy that I know. I appreciate your call. And next, I think we're going to be talking with Jenna who's calling from right here in Northern California. Jenna is on line 9. I'm trying to do Pastor Ross' job. Jenna, you're on Bible Answers Live. Jenna: Hi--this is Gina Pastor Doug. Gina: No problem. Please, my Bible question comes from Revelation chapter14 and verse 12, "Here is the patience of the saints. Here are they that keep the commandments of God and the faith of Jesus." Please, is it talking about keeping all 10 of the commandments of God, and what exactly is meant by, "having the faith of Jesus"? Pastor Batchelor: Alright, good question. And by the way, you'll also find in Revelation chapter 12 verse 17, it says, "The dragon," who is the devil, "is wroth with the woman," and that's understood to be God's church, "and he goes to make war with the remnant," or the remainder of her children, "that keep the commandments of God and have the testimony of Jesus." Here it says they keep the commandments of God, and have the faith of Jesus. And then, if you get to Revelation 22 it says, "Blessed are those that do His commandments." So you're asking is that all 10 commandments? 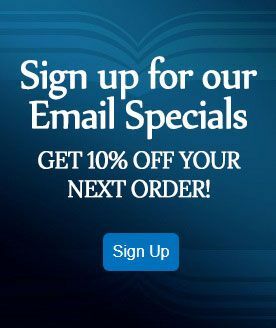 Well I don't see anywhere where God is offering a nine percent or 10 percent discount. And so I think that the Lord wants us to keep the 10 commandments. If He had called them 10 recommendations, it might be different, or 10 suggestions, but these are commandments of God. And the second part of your question is wondering what is the patience of the saints or the faith of Jesus? Gina: The faith of Jesus. Pastor Batchelor: You notice it says in the original not, "faith in Jesus" but "the faith of Jesus", and that means that the believers in the last days will need the kind of faith, the same substance of faith, that Jesus had. The way that Jesus lived a life of faith in the Father, He committed every particle of His life to trusting the Father, even when He couldn't see through the portals of the tomb. While He was on the cross, He said, "Father, into Your hands I commend my spirit." So we need to pray that we can share in that experience of Christ, become like Christ, and have the faith of Jesus. Gina: So please, is that like having assurance that everything is going to come out okay at the end and we'll go to heaven; everything is going to come out okay? Pastor Batchelor: Yes. I think the Lord wants us to have a balanced assurance. He doesn't want us to be boastful and saying, "We can't fall, we're saved no matter what we do." That's, I think, reckless. I think we ought to have a humble, and yet, a confidence that, when we've committed our souls to Him, we can say like Paul said, "For I know whom I have believed, and am persuaded that he is able to keep that which I have committed unto him against that day." So Paul said, "I fought a good fight, I finished the course, I kept the faith." We need to be able to have that kind of faith; and I believe that is possible. Gina: Thank you Pastor Doug. Pastor Batchelor: You're welcome. Thank you Gina. Pastor Batchelor: God bless. Let me see, who do we have next here? I think we've got a question from Robert who's calling from Buffalo. And Robert, you're on the air with Bible Answers Live. Robert: Yes Pastor Doug, thank you. My question is eschatological as well and I'd like to run this proposition by you. 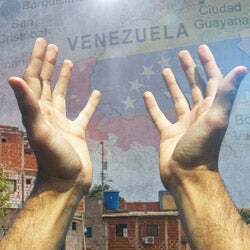 Many times we hear preachers, in treating Ezekiel 38 and 39, saying it's going to happen in our day soon with Russia coming down on the mountains of Israel. with the evidence that's in chapter 37, I'm wondering if we can rather correlate what Ezekiel is saying in chapters 38 and 39, rather with Revelation chapter 20, 7, 8, and 9 where the vision is at the end of the millennium. Um, Gog and Magog come down on the mountains of Israel, or surround the city of God, I should say, and destroy them with fire. Robert (continued): The reason why I would say that--and then I'll let you treat it--is in chapter 37 of Ezekiel, he's speaking about a time when the dead are raised, a time when the tribes of Israel are restored to the tribe of Judah, and David is raised up and is ruling over them. There's a sanctuary in the midst in the line of Israel, and they have a covenant of peace with them. It says they never more will serve their idols. That doesn't really describe the Israel of our day. Pastor Batchelor: No it doesn't. Robert: I would like to get your idea on that. Pastor Batchelor: You know, I really wish I had about half an hour because you're talking about a subject that is very interesting to me. I think that a good part of the evangelical world is missing the boat on this question, and it's based on one simple, flawed premise--well it's based on a few--but one outstanding is, they assume that Gog and Magog, and Meshach, who they think is Moscow, and that because they're referred to as enemies to the north, that somehow it was Russia. I think that's a very flawed supposition. Let me give you something else to think about. I think Gog and Magog represent all the wicked, it's not just one nation. The evil, all the lost, that come against the people of God in the last days--your first reference to Gog and Magog is found in Genesis 10. And when it's talking of the divisions of the tribes--and that simply represents the enemies of God's people--you've got Gog, Magog means, "out of the matrix or the children of Gog." So you've got Gog, and the children of Gog. And there are a lot of parallels between Ezekiel chapters 37 and 38 and Revelation 20, where it talks about--you've got two forces there. The only two nations you have in Revelation 20 are the people of God in the city of God and the enemies on the outside. Those enemies are not just Russia. I think it's all the wicked. I have a lesson I'd be delighted to send you Robert. Pastor Batchelor: And it deals with the whole scenario of the last days that involves where Gog and Magog fit into it, and it's called, "A Thousand Years of Peace". Now, the lesson is dealing with the millennium, but in order to understand the millennium, obviously Gog and Magog happen right on the borders of that period of time. So, if you would call the resource line, please let me send you this lesson. Anyone who wants to understand who is Gog and Magog and what happens during the millennium and what is the eschatology of that time, that number again is 1-800-835-6747. Ask for "A Thousand Years of Peace" and we'll send that to you Robert. Appreciate your call. I want to remind our friends we are streaming live on the internet tonight. If you'd like to take a peak in the studio and see something like what it looks like, I'm not dressed up tonight because it is a vacation weekend. That's live.amazingfacts.org, live.amazingfacts.org. I'm Doug Batchelor and we are taking questions. This is Bible Answers Live. You can call in with your Bible questions. 1-800-GOD SAYS, that's 1-800-463-7297. We on about 300 stations plus satellite on Sirius, all across the country and 131. So, let me see. Who do we go to next? Oh, let's talk to Richard calling right here in town from KFIA. And your question Richard? Richard: Yes how are you doing sir? Richard: I have two quick questions. The table of nations, you can obviously trace all these people's names to different nations. Now, I just want to know from you doesn't that give credibility to the Bible as authority, as far as in all religions? And why do you think Semiramis isn't mentioned at all in the Bible? Pastor Batchelor: Okay, two questions. First, the table of nations. Yes I do believe, Richard, I agree with you that the table of nations in the Bible adds a lot of credibility. Not only that, linguists know you can not only connect the DNA of people from all over the globe and they trace it back to the cradle of civilization. You can draw a tree today because they've taken samplings from people all over the globe. There's no question now that the inhabitants of North America, the general Native Americans, their DNA lines up a lot more with the people of Mongolia than any other people, so they probably did come across Siberia to Alaska; but the languages, there are similarities between all the languages of the world, with a few exceptions, that show that spread of the tribes. Then your second question was about Semiramis. I can't answer that question as well, why is she not mentioned specifically in the Bible. There are a lot of monarchs and gods that are not specifically mentioned in the Bible because the Bible, you know, it's a limited book. Its focus is dealing with how God works with His people in the plan of redemption. So it doesn't really embrace every god or every monarch. There was both a goddess Semiramis and there's also a queen by the same name. So yeah, you're going to find a lot of things that aren't mentioned. The number of kings seems to be missing. Richard: Yes sir. I'm just saying because I've found that Semiramis is pretty much the basis of all false religion, Isis, Ishtar. Pastor Batchelor: Well she goes by different names in the Bible. You have the queen of heaven; and when you get in to the New Testament, they call her Diana. And there's this female goddess that changes from one nation and one language to another. And the worship of Mary that became so prevalent among Catholics, there were so many parallels between that, that can go all the way back to Semiramis and some of the other female deities. I hope that helps a little bit Richard. Appreciate your call but we're going to try and get a couple more callers in here. And talking next to Frances, she's been waiting patiently, calling from Florida. Frances, thank you for staying there. You're on the air with Bible Answers Live. Frances: I'm so happy and excited about this. Okay, my question is, there's a Scripture that says that the living are conscious that they will die, but as for the dead, they aren't conscious of nothing at all. And so my question is, does that mean that Jesus knew that the dead do not languish in purgatory, limbo, hell-fire or any other location? Pastor Batchelor: Well yeah, I think you're referring to the Scripture in Ecclesiastes 9 verse 5 that says, "The living know that they will die: but the dead know not anything, neither have they any more reward; for the memory of them is forgotten." In other words, when a person dies, they don't come back and haunt you. The dead are in their graves waiting for the resurrection. It says they're resting. Jesus says, "Our friend Lazarus is asleep." All through the Bible, death is referred to as a sleep, but then why do people say at funerals--you always hear them say, "They have gone to glory", "They are now with the Lord." And I'll tell you where I think the conundrum is, when a person dies, they have no consciousness of time. The resurrection hasn't happened yet. The second coming has not happened yet. The judgment day has not happened yet; but for a person who dies, because they have no consciousness of time, instantly their next conscious thought is it's like they've woke up within a few seconds. And if they're saved, they're raised and caught up with their glorified bodies and they meet the Lord in the air. If they're lost, they're raised in the second resurrection for the great judgment. And so, there's confusion on this subject--and yeah, purgatory, there's no biblical foundation for that. When you die, you are either covered by the blood of Jesus and you are completely saved, or you're lost. There's no middle ground where you roast a little while and then get saved. There's no support for that in Scripture. We do have a study guide. We'll send you a free copy of this Frances if you'd like. And it's called, "Are The Dead Really Dead?" If you call the number 1-800-835-6747, ask for the study guide, "Are The Dead Really Dead?" We'll be happy to send it to you. Let's see, we're going to be talking next with Johnathan who's calling from Santa Rosa, California. Johnathan, welcome to Bible Answers Live. Johnathan: Hi, how are you? Pastor Batchelor: Doing well. And your question tonight? Johnathan: My question is about the book of Esther. I have always wondered why it's in the Bible. Pastor Batchelor: You know, it is a fascinating book. Among the dead sea scrolls, they found parts of virtually every book in the Bible except Esther. Some have surmised that was because the Essenes, who are the guardians of those dead sea scrolls, you don't find the word "God" in the book of Esther. Pastor Batchelor: There's no reference to the name of Jehovah. And the answer for that, the best answer I've heard anyway is, the book of Esther is written by a people who are captive in Persia. The Persians were not as forgiving as the Babylonians were with referencing another god. And so a quick way for that book to be destroyed would be by referencing and giving glory to God. Now the Babylonian kings, you notice with Nebuchadnezzar, he made a decree, "No one says anything against the God of Daniel." And the first Median king of Medo-Persia, Darius, he made a decree that no one say anything against the God of Daniel. But by the time you get to Ahasuerus and Artaxerxes and the other Persian kings, they had to be very careful about mentioning God. Johnathan: Yeah that's, that's beautiful. Pastor Batchelor: Yes I love the book of Esther. Johnathan: Who is the author of Esther? Pastor Batchelor: We don't know. Some have wondered if Ezra had a part in it. Others have thought it's really recorded by Mordecai himself or scribes that were contemporary, but you know, we really don't know the answer to that. Hey I appreciate your question Johnathan, but with that, we're going to try and take another call or two. Let's talk to Enoch, good Bible name, calling from Orlando, Florida. Enoch, you're on the air with Bible Answers Live. Enoch: Hi, I wanted to ask, does the Bible condemn people who, you know, desire to gain wealth and to be like the richest people ever? You know like, that kind of stuff? Pastor Batchelor: Well, there's a trend among some churches, they call it prosperity preaching, and uh, this idea of you know, "blab it and grab it," "name it and claim it." They've got all these little terms to refer to this theology, where the reason you accept Christ is so you can be healthy, wealthy, and wise. I believe that's misleading. While there are people in the Bible that were Spirit-filled believers--you've got Job and you've got Abraham and some others. There's also a pretty scary path in the Bible of people who, by power and money, lost their faith. And Jesus does say, "It's easier for a camel to get through the eye of a needle than a rich man to enter the Kingdom." So if the purpose of any believer is to accumulate wealth, even Solomon who had everything, he said, "Strive not to be rich. Anyone who makes haste to be rich will not innocent." People who try to get rich quick usually compromise their scruples. I think we should strive to be faithful. I like John Wesley who said, "A Christian should earn all they can, save what they can, and give all they can." Pastor Batchelor: So I think that's the best principle for Christianity. We have a study guide we'll send you that deals with how to have a good Christian attitude towards finances. And it's called, "In God We Trust". We'll send you a free copy Enoch. "In God We Trust". You'll just have to call the number, 1-800-835-6747. And for all our listening friends out there, keep in mind, many of the resources that we're mentioning are free if you go to amazingfacts.org. Just go to amazingfacts.org. Under our free resources, it says, "Free Stuff" on the bar. We'll be happy to send that to you. Oh, I'm getting the signal that I've got about two minutes left. I wonder if I could take somebody quickly. Let's see, Sharon? Sharon, you're on the air with Bible Answers Live. Can you state your question in just a few seconds? Sharon: Yes Pastor Doug. Regarding Proverbs 31, is that symbolical for a church, or a literal interpretation of a godly woman? Pastor Batchelor: Alright. Good question. If you've read Proverbs 31 friends, it kind of identifies the dream woman, or the dream wife. She wakes up early and all her children are clothed well and she does everything perfectly. And I really think it's talking about the analogy of God's bride, the church. Now, I don't think there are too many men out there that wouldn't want to marry the woman in Proverbs 31; and I think every woman should strive--it's a great standard; but even beyond that, I think it's really talking about God's church that has been purified. All the things it talks about her doing there are symbols, feeding her family, clothing her family, and so forth. Oh friends, as it happens every week, seems like we always run out of time at some point. Please contact us. Help us stay on the air. Some of you are thinking about your Christian giving during this time of year. Please think of Amazing Facts. You can make a donation online. It's simply, amazingfacts.org. 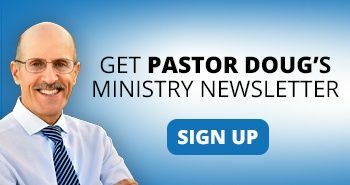 Click the "Contact" button and help us keep bringing the Word. God bless you until next week. Are the Egyptians in the Bible the same people who built the pyramids? What does the Bible mean in Genesis 6:4 when it refers to giants? What happened to the tribe of Dan?